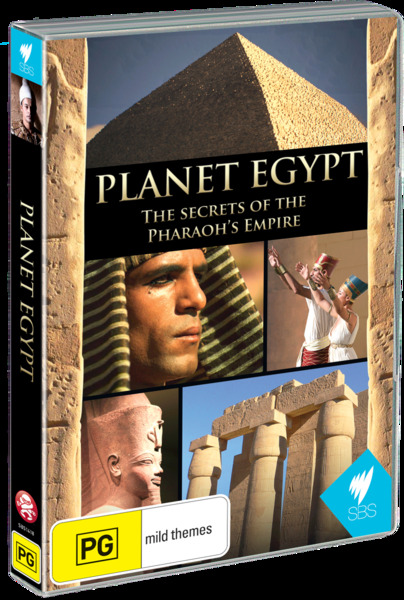 Planet Egypt DVD Review In conclusion, Planet Egypt succeeds in giving the viewer a very insightful documentary that is a must have for history buffs! Egypt... one of the world's oldest civilizations that still contains a wealth of knowledge yet to be undiscovered. With that said, every year, Egyptologists uncover new evidence, answering more mysteries about this powerful civilization that lasted for three thousand years. Even though the documentary genre is filled with hundreds of releases on ancient Egypt, this German produced 4-part series still contains enough new facts to keep even the most amateur Egyptologist entertained and more importantly informed. Yes, some of the information is a rehash of things before, however the Discovery Channel ensure that this collection finds a place among the better documentaries. This documentary takes the viewer on a wondrous journey through the 3000 year rich history of ancient Egypt that commences from Dynasty Zero, a small farming village that lead to the birth of "Planet Egypt". Mixing expert interviews with re-enactments and computer generated images, this documentary takes the viewer on an interesting expedition that begins with King Narmer who may have been Egypt's very first Pharaoh. The key to this Pharaoh is a 5,000 year old tablet that depicts Narmer with two crowns, suggesting that he was ruler of both upper and lower Egypt. Although there is much debate on how King Narmer usurped power in Egypt, the theories by the experts included in this episode gives the viewer a considerable amount of information to contemplate. Episode 2 of Planet Egypt focuses on Thutmose the Third, a Pharaoh who used war to secure his power and expand the empire. This episode uses some great computer generated effects for the viewer to visualise what ancient Egypt may have looked like thousands of years ago, especially their giant forts used to not only protect its citizens but also it's valuable trade routes. The reign of Thutmose lasted 54-years who lead to this Pharaoh becoming one of Egypt's most famed generals and politicians. The third episode of this series entitled Temples of Power involves one of Egypt's most controversial Pharaohs, Akhenaten. Akhenaten was responsible for replacing all the Egyptian gods with one called Amun which caused civil unrest within Egyptian society. The episode also highlighted how strong tradition was in ancient Egypt and not even this god who walked the lands could change 1500 years of religious beliefs. His name and face was stricken from Egyptian history, however many items of his reign still remained. Quest of Eternity is the final episode of this series which focuses on the power of the afterlife in ancient Egypt. The Pharaoh for this episode is Ramses the Great who reigned Egypt for an outstanding 66 years and although he was one of the greatest Pharaohs, he would also be the last great king of Egypt. Nonetheless, death was a very important facet to Egyptian civilization and the afterlife continued to live on, even after the Romans conquered the deserts that lead to facets of their religion being adopted by Judaism, Islam and Christianity. In conclusion, Planet Egypt succeeds in giving the viewer a very insightful documentary that is a must have for history buffs!